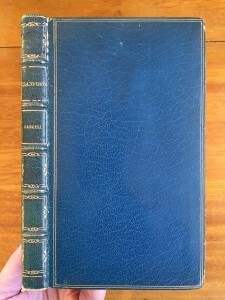 Paul Elder & Company, in connection with Sisley’s, of London, are about to publish a handy volume series of standard works under the general title of The Panel Books. Twenty titles will be ready in September. 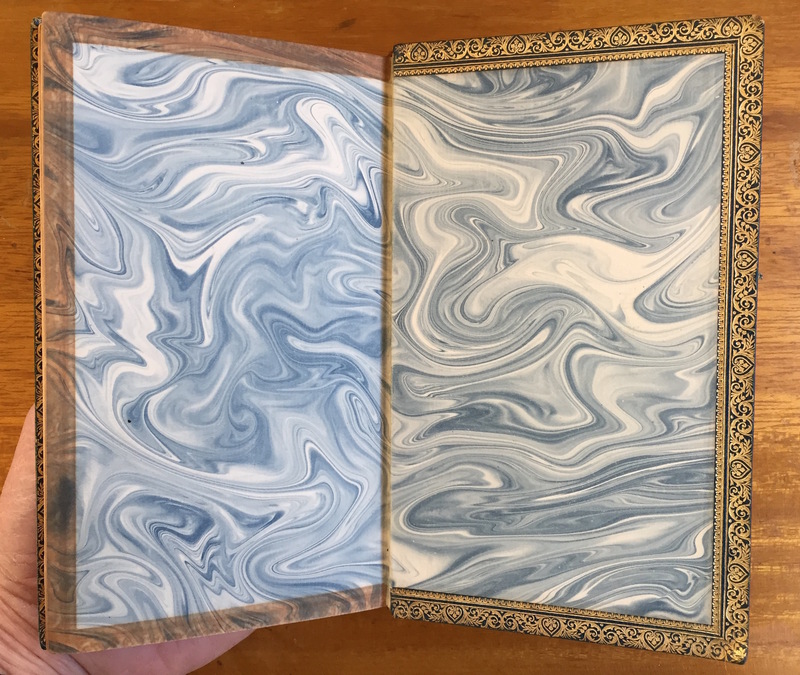 THE PANEL-BOOKS are a series of sumptuous Classics de Luxe produced with care and artistic taste–books that will grace your bookshelf or table and that you can handle and read with real delight. As the name implies, they are of handy “panel” shape. Richly bound and printed in large, clear type on permanent antique paper, with ample margins, THE PANEL-BOOKS recall the charming editions of the Eighteenth Century; and every accessory to a good book which the book-lover appreciates is to be found in this new series: a coloured frontispiece, decorated title-page, ornamental end-papers, silk book-ark, full gilt edges, embossed and 22-carat gold stamped cover, and, what is an entirely new departure, giving an added distinction to the series, a specially designed Heraldic Book-plate affixed to the inside of each cover. On this the owner of the book can inscribe his or her name. 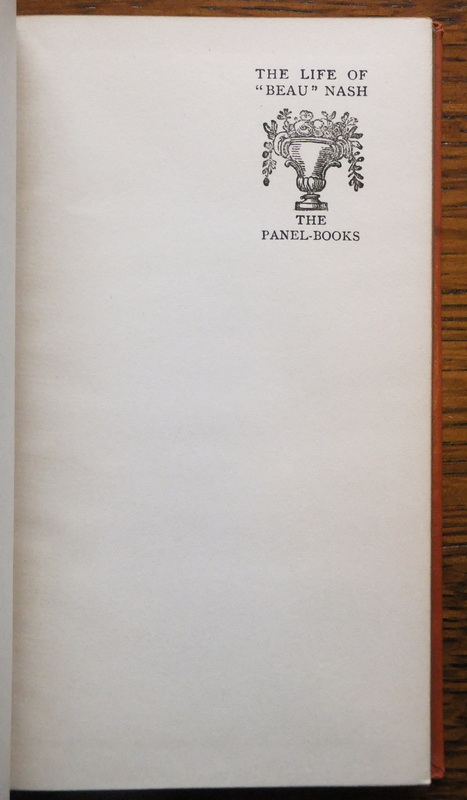 The book-plate, cover, title-page, decorations, and end-papers have been designed for THE PANEL-BOOKS by Edgar Wilson. From this short description it will be seen that THE PANEL-BOOKS have a character of their own. 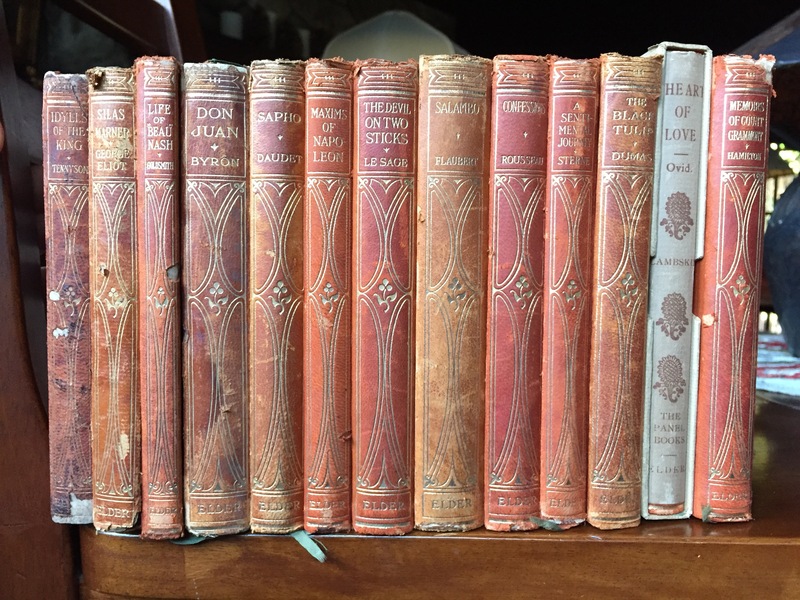 Elegant in format, tasteful to look upon, with paper and type that are restful to the eye, they are ideal companions for the spare hour at home or on travel—books that you can live with on terms of close intimacy—books that are beautiful in every sense of the word. 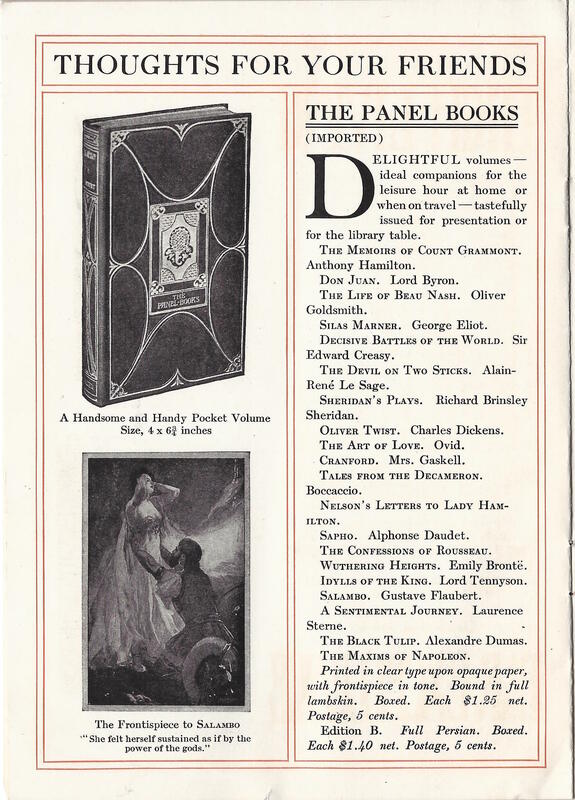 The titles chosen for THE PANEL-BOOKS are of infinite variety, to please differing tastes. Fiction, Memoirs, Poetry, History, Biography, Folk-Lore, Choice Extracts, The Drama, Humour, Travel, Devotion—all find a place in the new series. 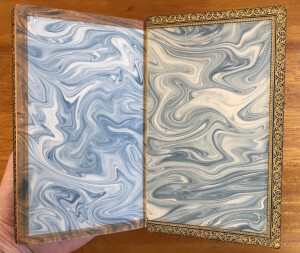 As to the price of THE PANEL-BOOKS, for a series of such exceptional quality it is extremely low. 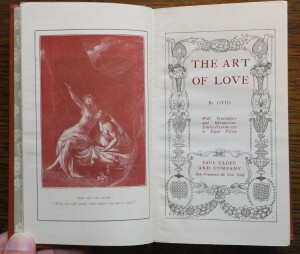 Bound in art vellum, embossed and gold stamped, with gilt edges, it is 2s. 6d. net for each volume; in half-leather, 3s. net; full lambskin, 3s. 6d. net; and in real Persian leather, 5s. net. 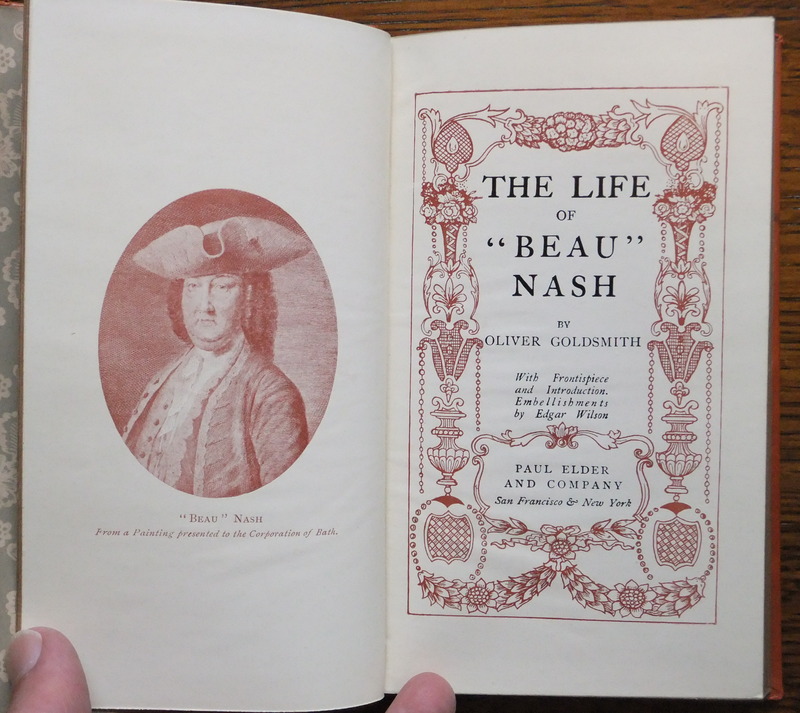 Elder had a lot on his mind in 1907: he and John Henry Nash were in New York City, gamely trying to recover from the disaster of the San Francisco earthquake the previous year. The subsequent fire had destroyed not only the bookstore but also the Tomoye Press, so they were obliged to rebuild the print shop. Buying a series was a quick and easy way to get books on the shelves in time for the Christmas shopping season. 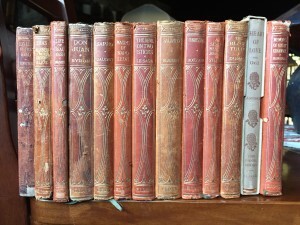 Evidence suggests that the Impression Classics series sold well as many of the 1902 titles were reprinted in 1904, so there was reason to believe that this series would also. 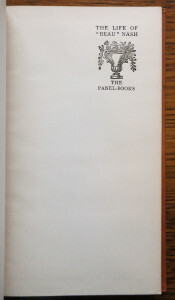 The Panel Books were printed by various English and Scottish firms, including Walter Watts and Co., Ltd., Leicester; Cowan and Co., Ltd., Perth; Colston & Coy, Ltd., Edinburgh; and The Riverside Press, Edinburgh. 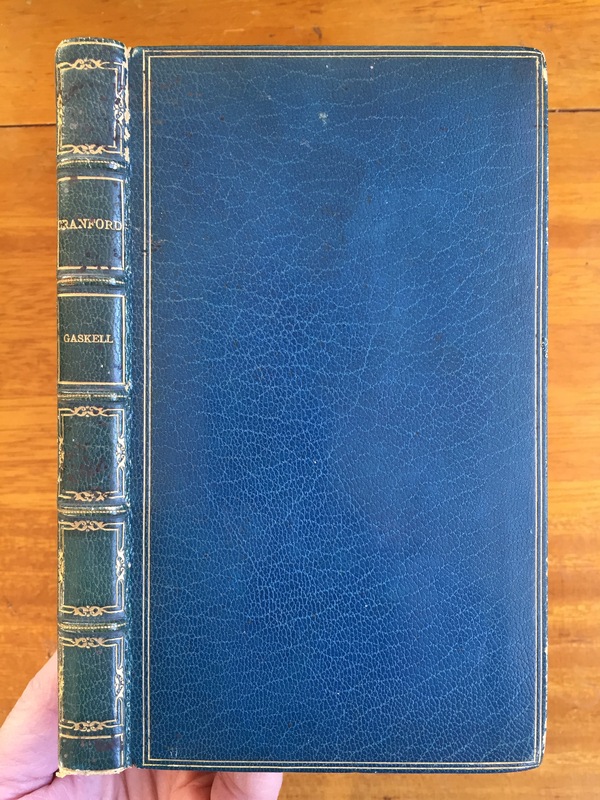 One hundred years later, the quality of the leather has suffered, and the spines in particular usually have significant wear and/or damage. Even when the cover has survived in excellent condition, the edges are still prone to flaking. 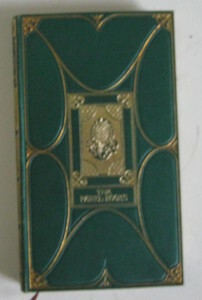 Some volumes were issued with plain slipcases and elaborate dustjackets (see image below), though these are uncommon. 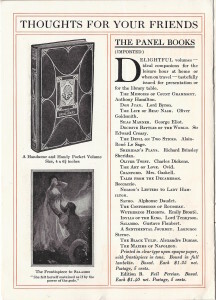 For the more discriminating book buyer, The Panel Books were also offered in higher-quality bindings, as mentioned in Sisley’s promotional blurb above. 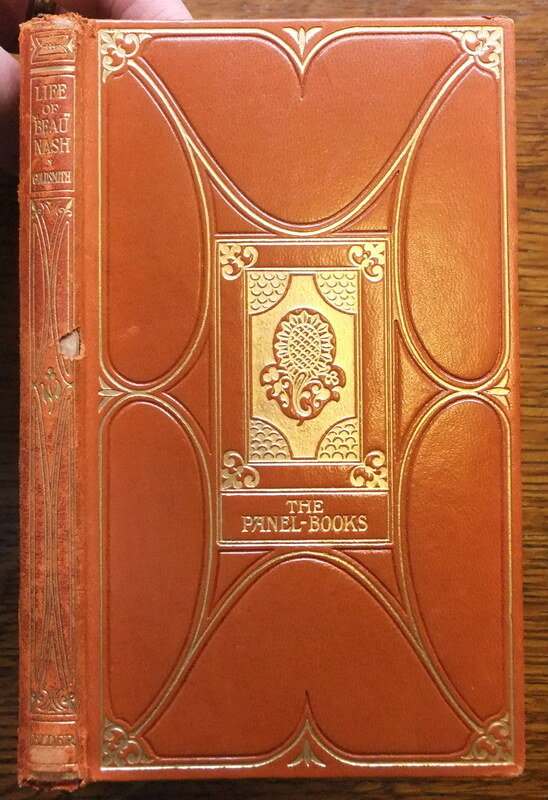 The bindings were done by one of two English bookbinding firms, Root and Son, and Riviere and Son. In 1907, £1 was worth about $5, thus the “extremely low” price of 2s. 6d. (two shillings sixpence, or one-eighth of a pound, popularly called “half a crown”) was about 63¢, and the high-end Persian leather at 5s. equated to $1.25. 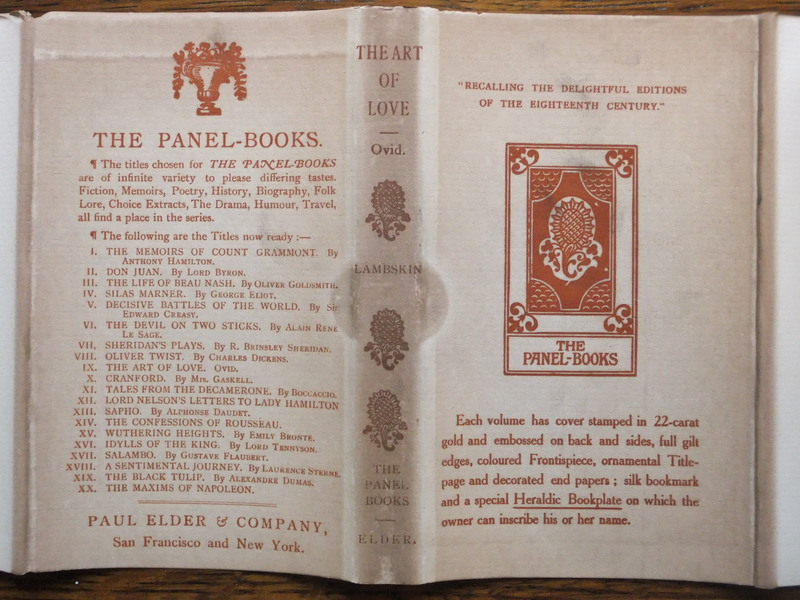 Paul Elder’s pricing for The Panel Books was about twice as expensive: $1.25 for the basic book, and a range of Root/Riviere bindings: half calf $3, half-morocco $3.50, full flexible calf or morocco $4, full polished calf or morocco $4.50, full polished Levant $5. Little is known about artist Edgar Wilson (1861-1918), other than he drew for several comic periodicals, such as The Butterfly, The Idler, and Pick Me Up. 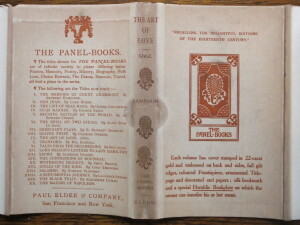 Notices in 1907 claim that The Panel Books were also to be published in Canada by the Copp-Clark Company of Toronto, but these have not been seen.